Back when we were growing up- there were only two kinds of diet- vegetarianism and non-vegetarianism. And then the vegan trend started. 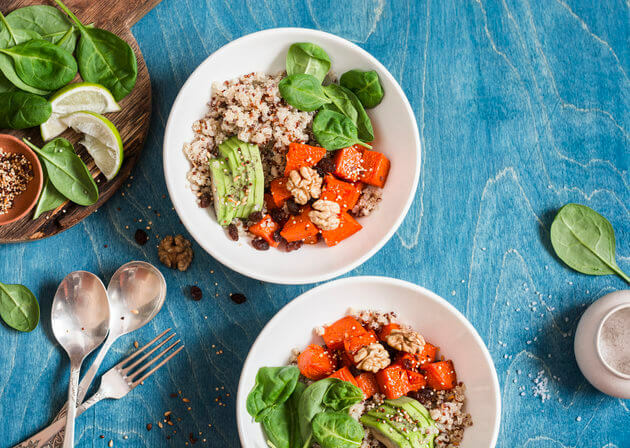 But now- you see new names cropping up like Lacto-vegetarian, Pescetarian, Paleotarian and Pollotarian, and the latest trend joining the bandwagon- the Flexitarian! Here are 5 basic questions you would have on Flexitarian answered in simple terms! Taken the Good Food Quiz yet? Try now! Start with the basic- what is a Flexi-tarian diet? In simple words- Flexible Vegetarianism. Meaning your diet will mostly be all of the plant-based vegetarian foods but you can eat meat and other related products in moderation. So what’s allowed is clear. But what’s not allowed? All green vegetables- and soybeans, tofu, etc When opting for animal foods, make sure you go for free-range eggs, organic dairy products and grass-fed meat products. The biggest Q- does it help me lose weight? The good news- yes. Opting for plant-based foods ensures you are foods that are low on calories. And a heavy plant-based diet, would not only aid in weight loss but also help diabetics. One obvious- the weight loss. Second is you would feel full for longer- because of the rich fibre-take in the plant-based foods. Third- a study by the American Heart Association shows those who follow a flexitarian diet show fewer incidences of heart failures and stroke. For those who have been following a meat-based diet for long, to suddenly let go of it and follow a plant-based diet can cause vitamin deficiency, a cut down on essential omega-3 fatty acids, zinc, iron and calcium. They would have to supplement the lack of vitamins in these animal foods in their new plant-based diet.